Linux affords greater control than operating systems like macOS and Windows. But within the Linux space, certain Linux operating systems yield more user control than others. 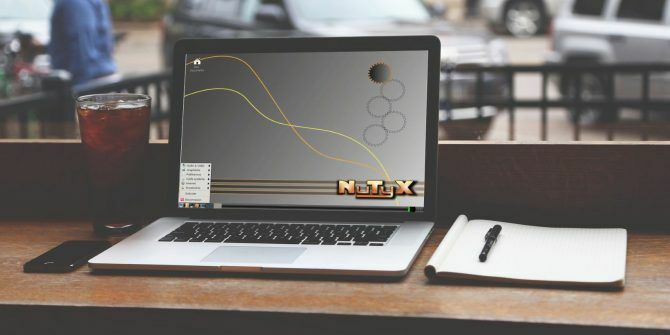 NuTyX stands out as a highly-flexible Linux operating system. As a Linux distro, NuTyX is aimed at Linux fanatics. It’s a distribution that offers customization and comes completely bloatware free. Because of its command line interface, it’s a pretty barebones but functional OS. Find out what NuTyX is, why it’s so flexible, and learn if you should use it! NuTyX is a Linux operating system which emphasizes high flexibility. A true minimalist’s distro, this OS uses the collection concept. A collection is a conglomeration of all packages which offer a function. For instance, the graphical user interface (GUI) collection lets you install a GUI and pick your favorite window manager. On NuTyX, there’s a ton of choices: you can install KDE, GNOME, MATE, or Xfce. Further, NuTyX utilizes the “Linux from Scratch” ideology — that is, the project provides instructions for building a customized Linux operating system and the foundation. But the end product is a distro cobbled together by the user. Linux operating systems abound. 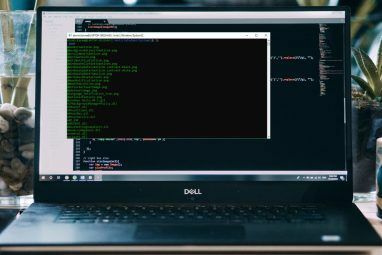 Whereas some are general desktop distros, others are pretty niche The Newest Linux Operating Systems for Every Niche The Newest Linux Operating Systems for Every Niche Linux operating systems are constantly updated, with some are more substantial than others. Not sure whether to upgrade? Check out these new Linux operating systems and to see if you should try them. Read More . Some are best suited to server environments 12 Best Linux Server Operating Systems and Who Should Use Them 12 Best Linux Server Operating Systems and Who Should Use Them Building a server? Linux is ideal, typically offering enhanced permissions, increased flexibility, and stability. But which one should you choose? Check out the 12 best Linux server operating systems and who should use them. Read More , or even for home theater PC use 9 Awesome Linux Media Center Distros for Your HTPC 9 Awesome Linux Media Center Distros for Your HTPC Linux distributions offer a flexible, more versatile solution to creating an awesome HTPC than Windows. Looking to build a HTPC? There's a slew of fantastic Linux media center distros awaiting. Read More . NuTyX differs in being essentially whatever the user wants. Unique elements of NuTyX begin with installation. It’s essentially a roll your own distro Roll Your Own Linux Operating System With Ubuntu Customization Kit Roll Your Own Linux Operating System With Ubuntu Customization Kit Ubuntu Customization Kit offers a DIY experience for creating a customized Ubuntu-based distro, with your own choice of apps and desktop, for burning to CD or USB. Time to build your own custom distro! Read More . However, the rolling starts after install. As such, NuTyX doesn’t require a hard drive or partition. Instead, NuTyX creates a virtual environment so it can be installed and reinstalled without formatting and partitioning a disk. This is a fantastic feature. As soon as NuTyX is installed in a folder, you can create a personalized ISO iteration of NuTyX. Even its package manager remains novel. Whereas many Linux operating systems use similar package managers, NuTyX employs its own package manager in CARDS. Because of its virtualization, NuTyX may be installed through several methods. I tried NuTyX in a virtual machine as well as a fresh install on an Atom-powered Acer netbook 5 Lightweight Linux Distros Ideal for an Intel Atom Processor PC 5 Lightweight Linux Distros Ideal for an Intel Atom Processor PC Don't let your Atom-powered netbook or low-specced laptop gather dust in a closet -- install a lightweight Linux distro and start enjoying mobile computing once again! Read More . Both processes were quite simple. However, it’s worth noting that the menus are decidedly dated. There’s a DOS-era looking set of menus which guide the NuTyX install. Don’t expect anything with the polish of Ubuntu installation windows. I suppose that considering NuTyX caters to power users, this shouldn’t come as a surprise. Nonetheless, NuTyX feels a bit old and clunky during initial install simply on account of its interface. You’ll proceed through basic steps such as creating partitions. It’s the first, and most crucial, step in the process. You’ll need a swap partition as well as primary OS partition. Finally, after choosing a language and setting the date and time, you’ll create a username and password. Once this is complete, NuTyX boots into a command line interface (CLI). After booting into the CLI, setup is complete. Well, at least the base NuTyX install. Yet, if you seek anything outside the minimalist install, you’ll need to load those yourself. It’s pretty painless. Thankfully, in abiding by the Linux from scratch ideology, NuTyX boasts fantastic documentation. While I found installation fairly straightforward, there’s a solid installation document replete with screenshots. My first post-install action was to load up a GUI. I picked KDE since it’s lightweight and I used my older machines for testing out NuTyX. I also performed a comprehensive installation of several beneficial utilities like LibreOffice and Firefox. Navigating NuTyX with the command line as well as a GUI is pretty standard fare. It’s no different than any other CLI- or GUI-based Linux distro. I appreciated the lightweight nature of NuTyX. Often, especially when purchasing a pre-built machine, there’s bloatware to remove. Linux operating systems typically eschew bloatware. NuTyX takes this concept to the extreme. NuTyX is therefore what you make it. Neat touches allow you to change the GUI without having to download each package or reinstall an interface. Instead, packages already downloaded are merely reinstalled when changing GUI options. Plus, the package manager consists of expandable modules. This means there are no dependencies but glibc. That’s a major win for NuTyX in its discovery of runtime dependencies automatically. NuTyX is best suited to power users. While a Linux beginner can user NuTyX, lack of a graphical user interface means it’s best for intermediate to advanced crowds. Installation is fairly intuitive. But the mandatory partitioning could be a challenge for beginners. Sure, it’s not as complex as loading up CoreOS. However, NuTyX isn’t as simple as Ubuntu Desktop which is easy enough for anyone who’s used a PC. For those who abhor bloat and want full control over their machine, NuTyX is a fantastic choice. It’s difficult to suggest specific applications for NuTyX as it’s just so flexible. Use it as a CLI distro, install it on its own hard drive, run NuTyX from within another Linux operating system: the opportunities are nearly endless. As such, uses for NuTyX vary. It could be a great server OS since it’s so lightweight and command line-based, or even a development environment from within another distro. Should You Switch to NuTyX? If you’ve got a Linux operating system you enjoy and are happy with, by all means, continue using that. However, I’d definitely recommend at least trying NuTyX. Unlike many distros which require a Live CD or fresh install, NuTyX can easily be installed in its own virtual environment. It’s an excellent distro to play with and customize. Therefore, NuTyX is a solid foray into more advanced Linux topics and a great way to get hands-on with your OS. Many users flock to NuTyX for its flexibility. Even Linus Torvalds, creator of Linux, called flexibility the “biggest strength” of Linux. It’s here where NuTyX excels. Furthermore, NuTyX is awesome for older hardware. Because it’s incredibly lightweight, NuTyX is perfect for aging devices or running a virtualized environment. Yet if you’re not keen on some do-it-yourself (DIY) work, NuTyX is not for you. 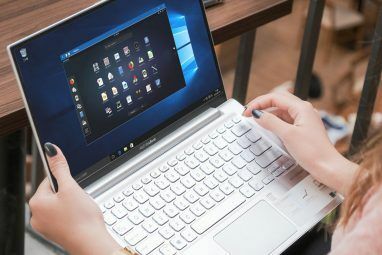 If you prefer a simple click-through installation and want to just get started using an operating system, pass on NuTyX. For those willing to put in a bit of upfront work, NuTyX is a Linux playground. NuTyX is like a set of LEGO for Linux. After the base install, you have what’s akin to a bucket of bricks waiting for you to put together whatever you’d like. Install a GUI, stick to the command line, use it on a server, use it on a desktop, take NuTyX wherever you like. It’s a jack of all trades Linux operating system. But among the massive amount of choices, NuTyX also offers a bevy of simplicity. The package manager is a breeze, installation is fairly straightforward, and you don’t even need to wipe a hard drive to get going with NuTyX. Looking for the best Linux operating systems? 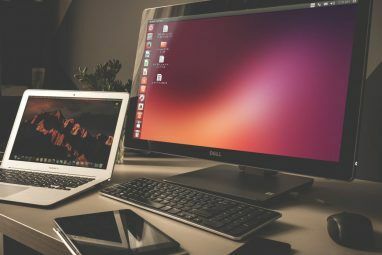 Check out these best Linux distros The Best Linux Operating Distros The Best Linux Operating Distros The best Linux distros are hard to find. Unless you read our list of the best Linux operating systems for gaming, Raspberry Pi, and more. Read More . Or read all about what we’re using here and why Which Linux Operating Systems We Use and Why Which Linux Operating Systems We Use and Why It's one thing to recommend a Linux distro. It's another to show you which ones we actually use on a daily basis. Here are the ones we prefer and why! Read More . Have you tried NuTyX, or do you plan to? Let us know in the comments section below! Are not all Linux distros customizable? I've just read that Void is sadly no more.